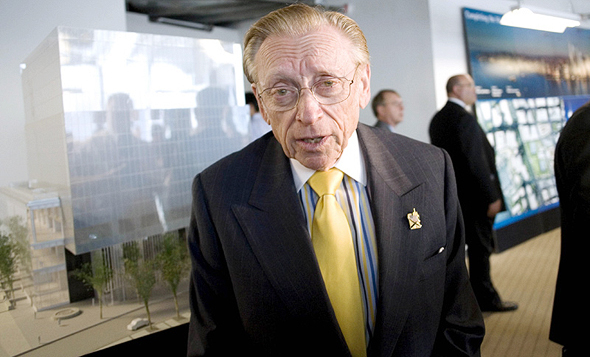 In April, American businessman Larry Silverstein visited Israel to meet with investors ahead of raising almost $190 million (NIS 670 million) in bonds on the Tel Aviv Stock Exchange. Despite his reputation and his age, 86 at the time, Mr. Silverstein opted to arrive in person instead of sending company executives. Ten years ago, the notion of Tel Aviv financiers lending money to a businessman like Mr. Silverstein would have seemed far-fetched, an Israeli investor who met with the real estate entrepreneur mused. But international and especially American companies looking to raise funds through an issuance of bonds on the Tel Aviv exchange have become more commonplace in recent years. Overall, 34 American entrepreneurs raised over $6.5 billion in recent years in Israel, including real estate developer Stephen Ross, whose company raised around $221 million in 2015; New York-headquartered real estate agency Moinian Group, which raised $361 million in 2015; and Jeff Sutton's Wharton Properties, which raised $233 million in 2017. According to The World Federation of Exchanges (WEF), demand is driving bond trading at the Tel Aviv Stock Exchange up at a steady pace. Based on WEF data, in 2017 the exchange was in fourth place in terms of total bond trading value, with an annual $205 billion. The Korea exchange was in first place, with 10 times that much—over $2 trillion—while the Shanghai Stock Exchange was in second place with almost $350 billion and the London Stock Exchange in third place with $235 billion. However, most of the trading on the Korea exchange is done in government and public bonds. If those are taken out of the equation, the Korea Exchange falls to the 12th place, while the Tel Aviv exchange rises to second place, after the Shanghai Stock Exchange. U.S. stock exchanges are not included in the rating, as bonds are usually traded over-the-counter in the country. How does the exchange of a small country like Israel become one of the top exchanges in the world in terms of bond trading? The attraction is simple: low interest rates. The financing alternatives in the U.S. and Europe are simply more expensive when it comes to pricing debt. Israel implemented a mandatory pension law that saw the assets managed by Institutional investors such as pension funds more than double since 2008, to around $390 billion in 2018. 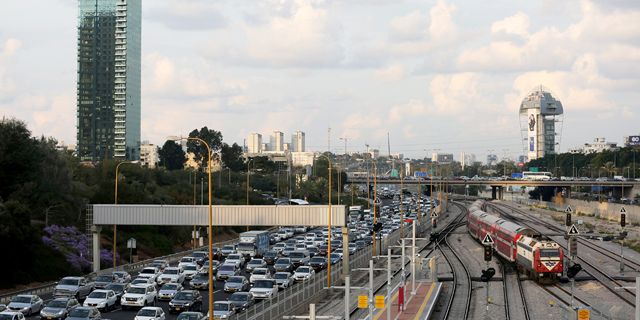 At the same time, the number of companies listed on the Tel Aviv exchange decreased, from 803 companies in 2008 to 577 in 2018. The number of bond series issued on the exchange has risen by only 12% in the last decade, to 622. As a result, institutional investors have much liquidity in Israel and not many public investment opportunities, a situation that almost guarantees foreign listers outsized demand. Tel Aviv exchange data reveals that while daily share turnover has fallen over the past decade, bond trading has risen 62% since 2008, and is now valued at around $280 million (NIS 1 billion) a day. The increase in bond turnover is beneficial for both investors and pension funds, as it increases the number and type of assets traded. For Israeli citizens, a greater choice of bonds also means safer investments, as asset managers will be less inclined to search for high-yield bonds in less secured or stable foreign markets. The interest foreign companies are showing in raising capital in Israel, however, also calls for extra scrutiny from all players of the local system—rating companies, the Israel Securities Authority, the underwriters and of course the institutional investors who chose where to put the public's savings. The Israeli market is attractive to American companies not just due to the interest rates and the limited local competition, but also due to its characteristics compared to the U.S. market, said in an April interview with Calcalist Gilad Altshuler, owner and co-CEO of Israel-based asset management firm Altshuler Shaham Group. "In Israel, there is a tradition of investing in corporate bonds," Mr. Altshuler explained. Israeli investors have long been used to investing 70% of their portfolios in bonds, and 30% in securities, while in the U.S. it’s the opposite, he said. "Local investment managers are predisposed towards corporate bonds because they grew up with them." However, Mr. Altshuler also thinks the large American companies are not priced correctly in terms of risk. "There's large money at play here and a supply that's still small compared to the size of the market," he said.